Complimentary Valet Parking is available for LAW patrons. Self parking is also available. Taxi service is available at the Four Seasons for LAW patrons.Limousine service is available through the Four Seasons Concierge desk. Public Transit stops are not recommended due to walking distance exceeding ½ mile. Join us in OUTLAW Taproom for Happy Hour from 3-6PM, Monday-Friday for $7 Margaritas, Old Fashioned, and Sommelier Selected Wine, $5 Draft Beer, and Complimentary Chips & Salsa. In addition we have Live Music in OUTLAW Taproom on Thursday, Friday and Saturday Nights. It is the perfect spot for a pre-meal cocktail! Join us in LAW every Sunday for Wine-Down Sundays paired with our Smokehouse Sunday Supper. We offer half-off bottles of wine with the purchase of a main dish in addition to a $39 BBQ inspired menu. Join Chief Justice, Greg McCarthy, for a night of Beer Education showcasing the collection of Beers from Legal Draft Brewery paired with a special Land, Air and Water inspired menu curated by Chefs Christof and Johan. Celebrate the start of St. Patricks day in LAW Restaurant on Friday March 16th with a beer-ception beginning at 6:30PM followed by a 5-course dinner. Space is limited so make your reservations soon by calling LAW Restaurant! 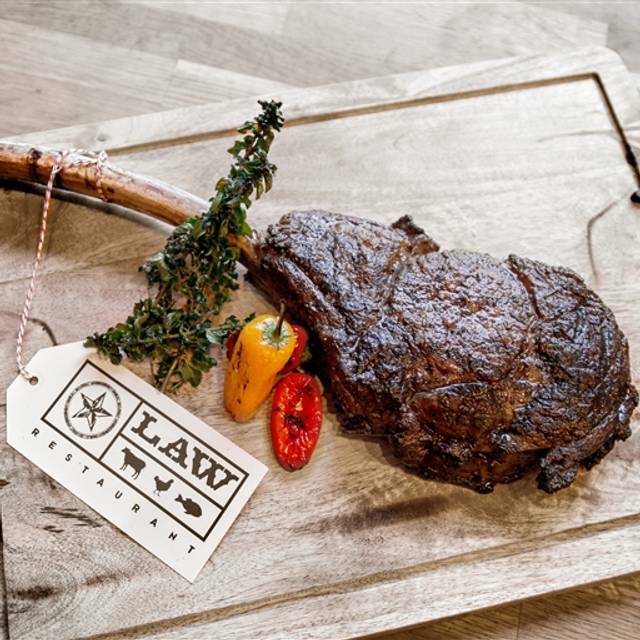 LAW features bold fare using the finest ingredients and is inspired by the flavors of Texas. The restaurant, which stands for Land, Air and Water, offers a robust menu that includes game, meats, poultry and fish prepared with a Texas twist. 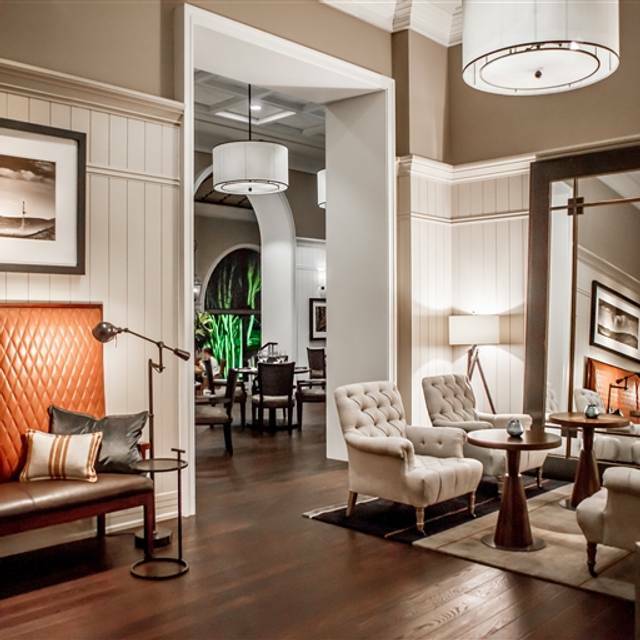 The restaurant features a fun yet sophisticated Texas chic environment, open seven days a week for breakfast, lunch, dinner and Sunday brunch. We are regulars at the Four Seasons lunch buffet. This is a real treat with a soup tureen, cold salad bar, hot bar and desert selections. All set in the stylish LAW restaurant. Wednesday Whitney was our very polished server. She makes sure that you are well served. We were seated in a very dark corner although with reservations we asked to be seated by a window. We could hardly see our food. On Friday the lunch buffet usually includes Fish Soup in the tureen. Today was no exception. This soup is on the style of a French Boullibaisse and always delicious. Lucy was our server and looked after us very well. The Atlantic Salmon on the hot bar was outstanding. We also enjoyed the mashed potatoes dish. Kabir made sure that we received perfect service . Kabir and Juan looked after us very well. i would have expected better service from a Four Seasons property (but poor service was kind of standard for the weekend). Juan was our server today and did a good job. On Friday there is usually the excellent Seafood Soup as there was today. This is an excellent soup in the French style. There was also a Striped Bass dish on the hot bar which was very good. The buffet Lunch at the Four Seasons is a treat. Lucy ,our server, was very helpful. The Lentil Soup and Striped Bass were very good. Excellent brunch. The buffet was amazing and the service was excellent. They had St. Patrick’s Day specific items and they were amazing! Rivals the best buffets in Las Vegas, except for the Sterling Brunch, since they have all you can eat lobster tails. For a chicken special, it had no flavor!!! Great food. Wasn’t crowded. Good service. This place definitely fits with The Four Seasons. Like the rest of the resort it is top notch. The food was incredible. The drinks were amazing. The service was perfect. The lunch buffet at Four Seasons is outstanding. The Three Bean Soup was very good and we had a custom made veggie wrap to accompany. Kabir and Nancy looked after us very well. The prepared salads were nice. The Hot Bar featured Atlantic Salmon and a Couscous dish. What’s wonderful lunch! Absolutely one of the best meals, service and ambiance! Our group had a wonderful time! We all remarked on how we need to make plans to attend again, very soon! We love the Friday Lunch Buffet at the Four Seasons. We started with the delicious Seafood Soup to which we added a Mushroom/ Avacado wrap. Next was the cold bar with berries,nuts, and salads. The hot bar featured Atlantic Salmon along with a nice rice dish and mixed vegetables. There were also steak and chicken dishes and a selection of deserts. Juan and Lucy took good care of us and The Chef, Christof stopped by. This lunch buffet is easily the best in the DFW area. Delicious buffet! Kabir and Juan took care of us. Kory stopped by. The Southwest Bean Soup was very good. The cold bar had wonderful prepared salads and berries. The hot bar featured Salmon and Striped Bass. Christof prepared a great mini. The Four Seasons Lunch Buffet is a Destination Lunch. We ate dinner at LAW on the second night of our honeymoon — it was fantastic. We went on a Sunday, they offered a 3 course fried chicken meal for $25 with half-off wine — great food at a great price. That said, the best part was the service. We had the best waiter I’ve ever had (I think his name was Burt). He was polite, attentive, and almost seemed to read our minds. After we told him we were on our honeymoon, he offered to take a photo of us and brought a complimentary dessert after our meal was over. Hands down an amazing dinner experience — would highly recommend. Kabir had our table ready. The lunch buffet was delicious | Sea Bass on the hot bar, wonderful prepared salads on the cold bar and a very good soup.we talked with Justine and enjoyed are lunch. The LAW lunch buffet is always a treat. Completely overpriced with food that was sitting out way too long. $59 plus tax and tip for Sunday Brunch would appear to be a deal at a Four Seasons resort, right? And, with the name like, Four Seasons, you would also expect its Sunday brunch menu selection to be worthy and synonymous with Four Season, right? Well, our Sunday brunch experience left us gravely wondering ... are we truly at Four Seasons ... what happened? The waitstaff were all very welcoming and friendly. The menu selections were all standard brunch items like the made-to-order omelet station, salad selection, carving station, cocktail shrimp, raw oysters, crab claws ... and the dessert station. On our Sunday, the carving station was prime-rib. It was good, lean and tender beef, just not over the top with flavor. The creamed horseradish sauce that typically compliment the beef was more cream than the bite you'd expect to get from horseradish. There was the typical fare of bacon, sausage, chicken, fish but again, just ho-hum mediocrity. The cocktail shrimps were obviously frozen from the bag and thrown into the serving dish, the snow crab claws were nice, but again, frozen, and the raw oysters were awful, not fresh at all that I actually had to spit it out. The desserts were typical, bland, unexciting and surely not worthy of the calories or carb count. The 2 stations that did make this experience a little bit above the others were: the make your own ramen bowl and poke bowl stations. 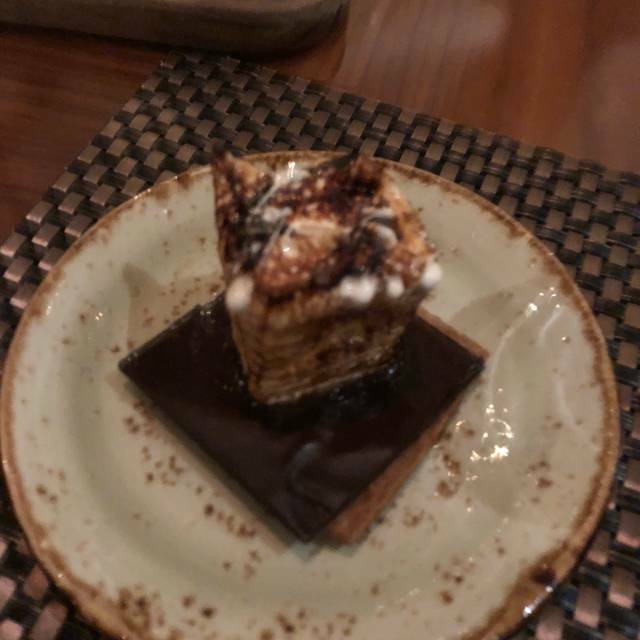 Overall, this Sunday brunch buffet was not worthy of the $59 per person and surely not rated at the level we expected for a Four Seasons Resort. Wonderful place! Great food, great service, excellent food and drinks. First time here and CANNOT WAIT to come back! One of our favorite brunch spots. Exceptional service and phenomenal food. Very pleasant experience. Good steak. This Friday lunch bu was outstanding. An excellent soup to start followed by very nice prepared salads from the hot bar and then vegetable noodles and Atlantic Salmon from the cold bar. Lucy was our very attentive server. What a delightful outing at the Four Seasons. Great place. I would definitely visit this place again! My wife and I celebrated Valentine’s Day here. The service was exceptional from valet to valet. The hotel and restaurant staff are very accommodating, friendly and professional. There was solo guitarist performing who sang several familiar songs great for the occasion. Loud enough to be heard but not over powering - perfect. The limited holiday menu was excellent with a broad enough selection to satisfy most tastes. 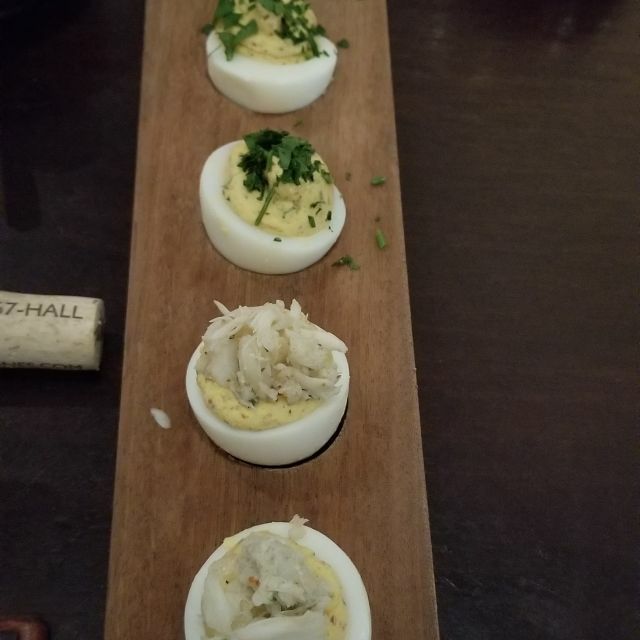 The appetizer was an assortment of deviled eggs that were amazing in flavor. We had whole snapper for two that was prepared excellently and presented in nice fashion. The desert menu and drink selection was wonderful. I would say the whole experience was upscale with a Texas twist. Not stuffy or anything but classy. We had a very enjoyable experience. Had a very nice Valentines Day dinner. Ended up going to LAW for the simple reason that we could order off a menu. Many places limit your choices for special days, which seems crazy to me. Their one chance to impress many first time guests, and they don’t even allow them to order what they like. Anyway, we enjoyed everything we ordered. Nothing “crazy wow,” but nothing the least bit disappointing. We plan to go back for their famous Sunday Brunch soon. Very good buffet lunch. Our expert server had everything ready. Justin stopped by to say hello. Can’t beat the LAW lunch buffet! Rene, our waiter, is one of the best. Excellent food, reasonably priced good service. We will be back. Kabir had our table ready and we started with the Chicken Vegetable soup and prepared salads on the cold bar. The hot bar featured smashed potatoes, steak and chicken dishes, and a wonderful Halibut dish. The lunch buffet at the FourSeasons is always a winner!